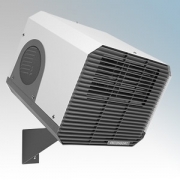 The Consort Claudgen commercial wall mounted fan heaters are designed to provide heat to large areas. 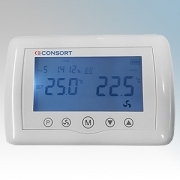 The intelligent fan control optimises fan speed and heat output to quickly achieve and control a comfort temperature whilst maintaining a very low noise level. Airflow temperature depends on rating of fan heaters. Provides comfort heating while working in garages, warehouses, factories, large workshops and many other commercial applications. Consort Claudgen Commercial Wall Mounted Fan Heaters There are 6 products.